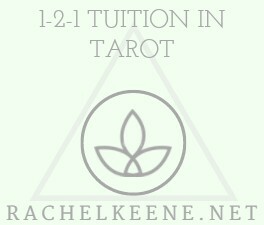 With 1-2-1 tuition in tarot reading, I’ll enable and empower you to accurately and intuitively read for yourself and others. Have you tried to learn to read tarot cards “by the book” but it just won’t click? 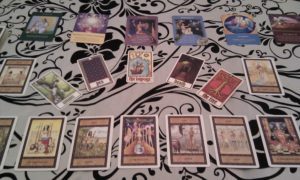 I’ve interpreted tarot in thousands of readings and shared my expertise and knowledge for over 27 years now. Many of my students are now reading for others in ethically responsible and compassionate ways for the greatest and highest good of their sitters. You can too! You ‘ll learn how to use tarot for your own daily personal insight, and how to use this ancient mystical divination tool to open the doorway to your own heightened psychic ability and clairvoyance. I learned and honed my skills by being taught 1-2-1 – I felt really supported and entirely comfortable as I learned. I couldn’t wait for the next session and loved applying what I learned in my own daily practice time. It made me want to absorb as much knowledge as possible and practice as much as I could in between mentoring sessions. This is how knowledge was passed down by our elders in ancient times and it works for a reason. Being mentored one to one means you feel safe, you never feel like you are being lectured or in a classroom, it’s about being heard, really listened to and nurtured by someone who cares about your uniqueness and tailors your learning to you as an individual. Sessions are 1.5 hours each – Longer tuition sessions (4 hours) also available by booking a VIP Tailored to You Afternoon. 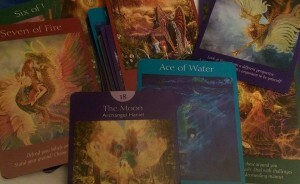 So, if you would like to enhance and amplify your natural psychic abilities with tarot, just book yourself in for your first session below. Hope to work with you very soon!